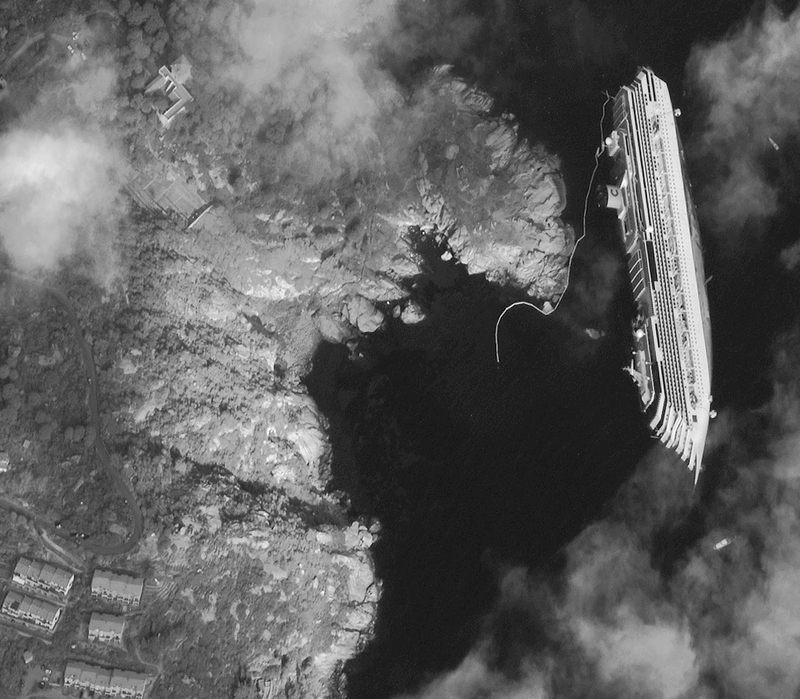 The Costa Concordia was launched on September 2, 2005, with a mishap that back then didn’t mean anything: the champagne bottle thrown against its hull didn’t break. But on January 13, at 10 pm local time, the mega cruise ship—owned and operated by a subsidiary of the world’s largest cruise ship operator, Carnival Corp—hit a reef near the small island of Giglio, off the Tuscan coast. On board were 3,200 passengers and 1,000 crew. But Captain Francesco Schettino told the coast guard 30 minutes later that the ship only had a “blackout problem,” according to recorded conversations that aired today on the Italian news channel, Sky TG24. It wasn’t until an hour after the ship had hit the reef that he finally gave evacuation orders. By that time, the ship, which had been taking on water, was listing heavily. So far, 11 bodies have been found and 23 people are still missing. The chaos aboard was catastrophic, according to French passengers who were interviewed on the French TV channel, France 2. Apparently, the captain-less crew was ill-trained to deal with the emergency, and one complication after another arose. The ship is resting in an unstable position on its side and could slip off the reef and sink into a 250 ft. deep trough. Rescue operations continue as there is hope that some of the missing passengers might be inside an air bubble. Salvage efforts have begun. And now an environmental catastrophe might have to be added to the toll. The approaching storm might push the ship off the reef into the trough. Fuel tanks could rupture, and the fuel could devastate the Santuario dei Cetacei, Europe’s largest marine sanctuary. The Italian government plans to declare a state of emergency later today. Captain Schettino, who’d been crucified in the Italian media, is still under house arrest. He is accused of having caused the shipwreck and having abandoned ship, a crime in Italy. And the ship itself? Depending on the damage it suffered, it may be a total loss.